A youth football team helped rescue an Oregon couple trapped in an overturned car Wednesday, possibly saving their lives. 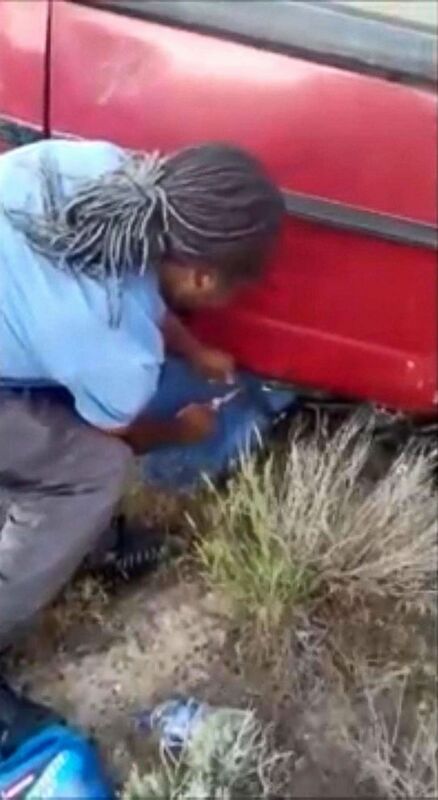 A member of the Boise Black Knights football team shared video of the moment on social media after he and his teammates pulled the man free and lifted the vehicle to rescue the woman stuck inside. 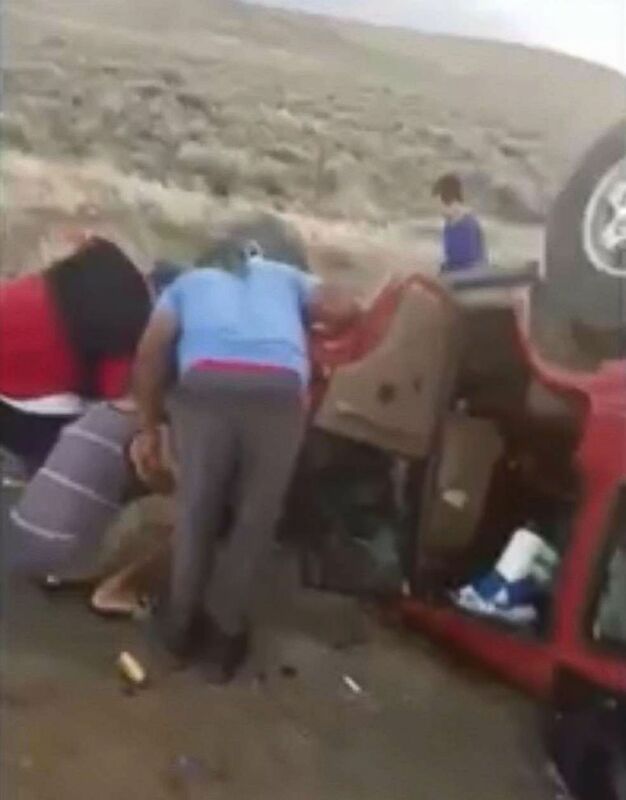 The Boise Black Knights youth football team helped rescue an Oregon couple trapped in an overturned car, May 30, 2018. Several of the boys were seen raising the vehicle as other team members worked to cut the woman out of her seat belt and pull her from the wreckage. The team members were on their way home from a tournament in California when they came across the crash scene on an Oregon highway, Black Knights coach Rudy Jackson of Boise, Idaho, said. 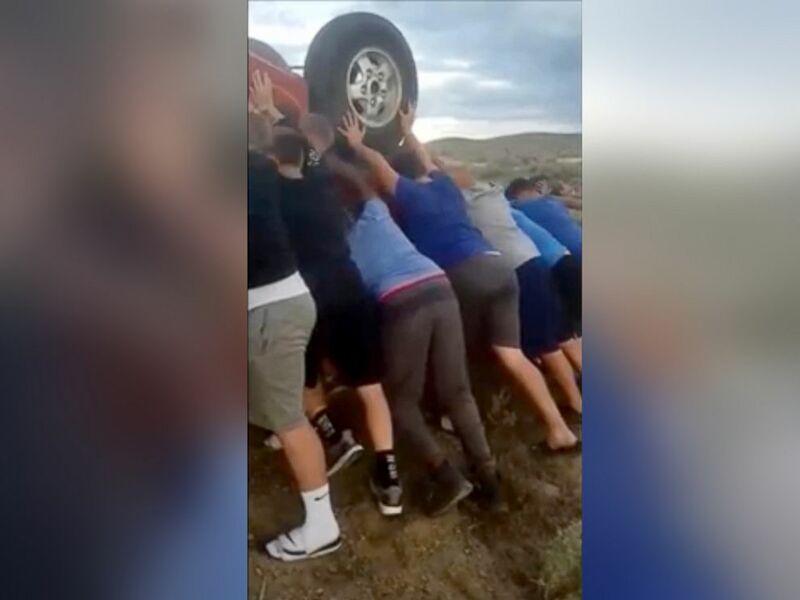 The Boise Black Knights youth football team was on the way home from a tournament when they helped rescue an Oregon couple trapped in an overturned car, May 30, 2018. That’s when the players, boys 13 and younger, quickly jumped into action. "We were all driving, they came around the corner and seen an accident with a car rolled over, and the two vans pulled over," Jackson said in an interview with ABC News’ "Good Morning America" Thursday. "Me right now talking about it, I'm getting emotional. Because I've watched these boys grow. And they came a long way. They're amazing young men." Members of the Boise Black Knights youth football team lift an overturned vehicle at they cut a woman out of her seat belt, May 30, 2018. Regan Magill, the team member who helped capture the footage, said Jackson is the one who deserves credit for rescuing the couple, noting his lessons on the importance of selflessness. "He taught us to play selfless football and not selfish -- just help others out before yourself," Magill told "GMA." There was no official word on the couple's condition.